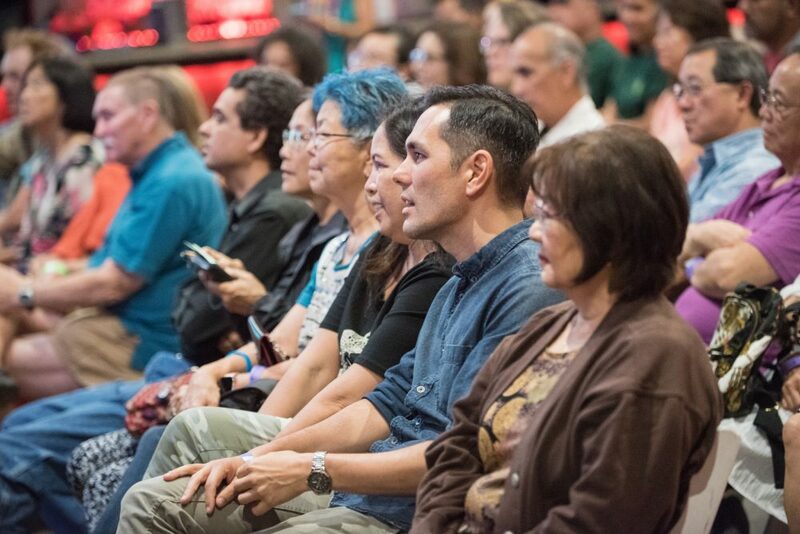 Jordan Keao, a Hawaii-born executive chef and owner of San Francisco’s ‘āina restaurant, said that mainlanders enamored of his home state’s cuisine may not be aware of the culture that produces it. 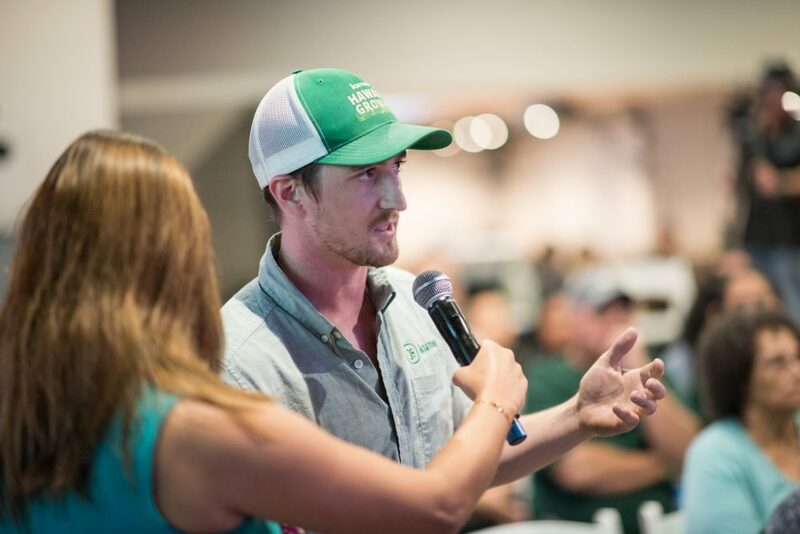 “We all know it’s sitting in a garage over a hibachi grilling chicken and pork,” said Keao, who thinks that Hawaii’s food deserves to be as popular as any of America’s other great regional cuisines. 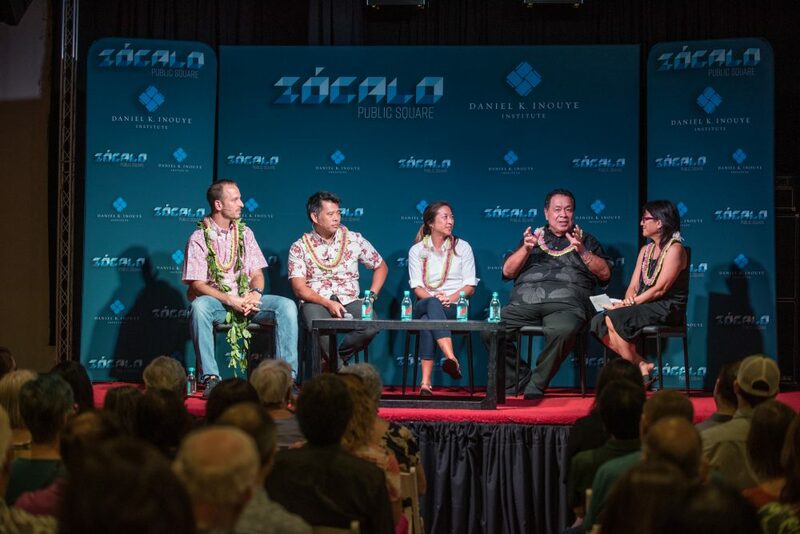 But are diners really thinking about a story when they’re chowing down, asked the panel’s moderator, Noe Tanigawa, an arts and culture reporter for Hawaiʻi Public Radio. 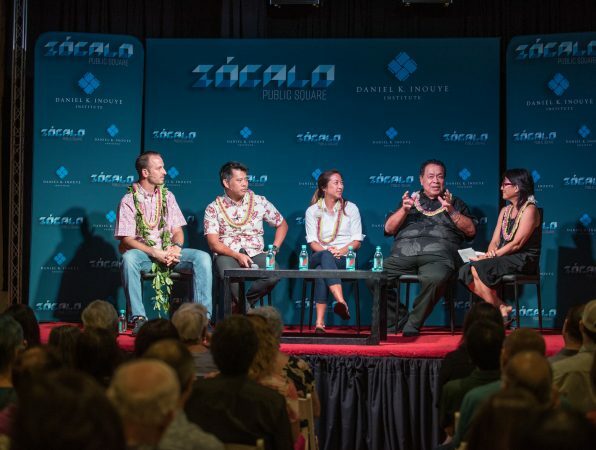 Keoni Chang, corporate executive chef of Foodland Super Market, replied that he thinks they are, perhaps at a subconscious level, and he believes that the island’s warm, communal spirit gets translated through its cooking. 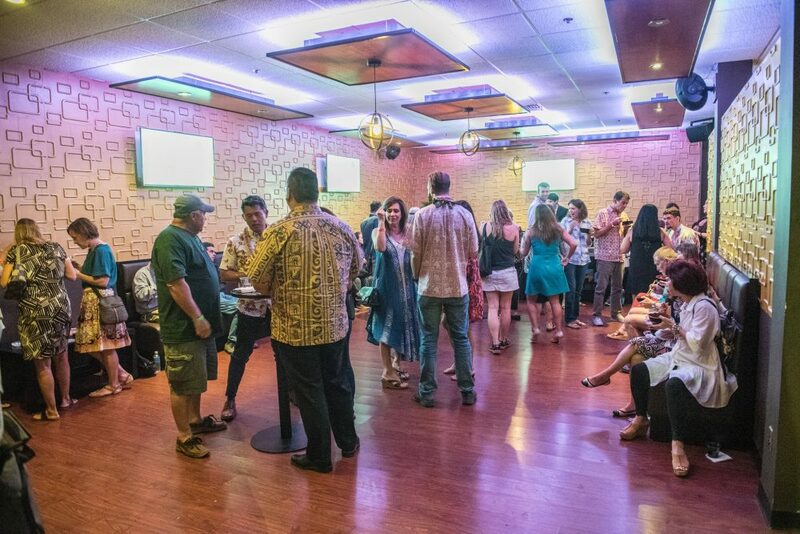 While surfing and slack-key guitar music have wafted across the Pacific and gained broad appeal, food may be Hawaii’s most expressive form of culture. 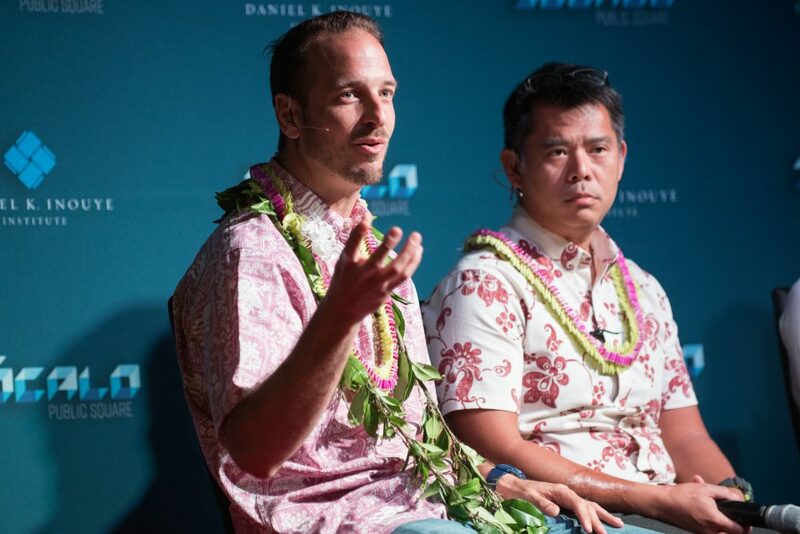 Jordan Keao, executive chef and owner of San Francisco’s ‘āina restaurant. 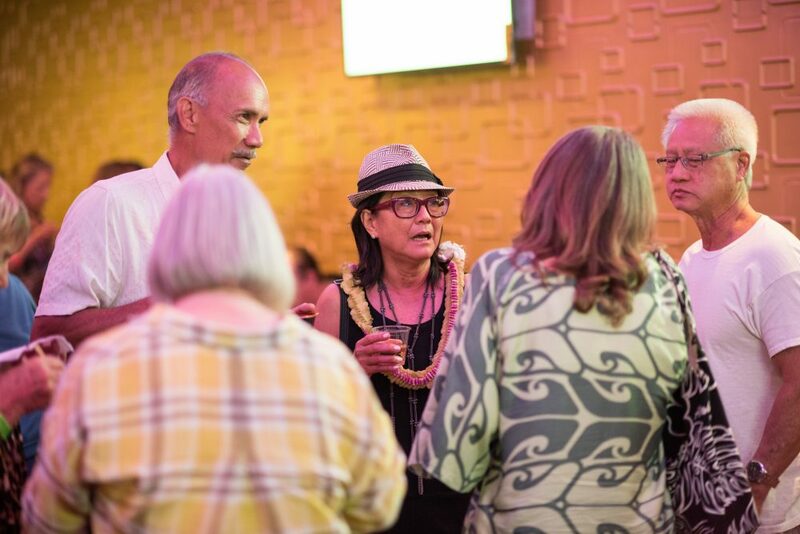 Noe Tanigawa, arts & culture reporter at Hawaiʻi Public Radio, speaks with guests at the reception.